Just a Girl and her KitchenAid: Happy Birthday Pa! Today is my daddy's birthday :) I love my dad, he is beyond amazing and he deserves nice cake! Although he's a dedicated dieter these days, I asked him if I could make him a birthday cake and he said 'no thanks, but I'd like some for the office please', (an example of how generous he is!) and stated it needed to be chocolate fudge cake. Lovely, I thought, I'll make my famous Death By Chocolate cake. Stupidly, I forgot to add the butter to this cake and the results aren't even worth documenting! 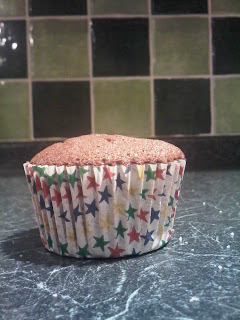 Note to self: never bake when ill! After getting a tad too annoyed, I frantically hopped on the computer and paid a visit to The Caked Crusader who, in true superhero style, saved me from a very sticky situation. I chose this recipe for a few reasons; it used all of the ingredients I had without needing to go to the shops, it was easily doubled and they looked delicious! 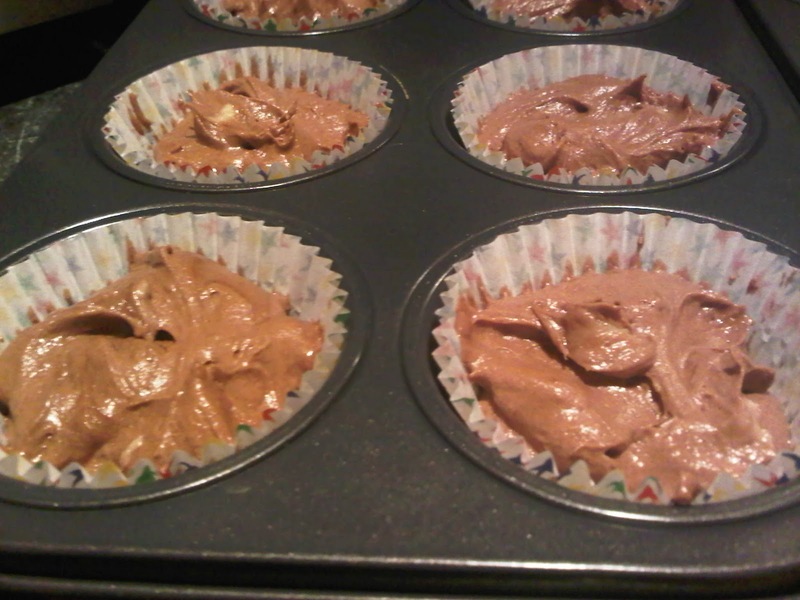 As you can see, the batter for these cupcakes was deliciously smooth, even though it used cocoa powder as opposed to chocolate. For once, all of my cupcakes came out evenly, and a great size, I love this recipe! I cheated a little and used Betty Crocker's Chocolate Fudge icing but this was because it is truly beautiful and it topped off a great bake in a great way! 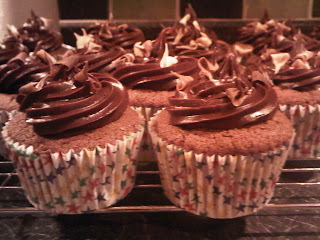 I still need a bit of work on my icing skills, I would have liked the icing all over the cake! All in all, a very nice bake, a very happy office and a very happy daddy! Thanks CC! 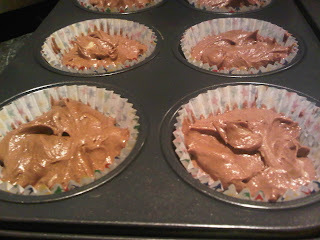 Bake for 12-15 minutes or until a skewer inserted into the cupcakes comes out clean. Mine took around 17 minutes, which didn't burn them! Happy Birthday to your Dad! I bet everybody at the office enjoyed those. The icing looks great too. Thank you! He sent me all of the emails from his friends and I'm very touched! Happy Birthday to your dad! The cupcakes look great. Yay - every Dad needs good cakes on his birthday and I'm glad you liked the recipe!